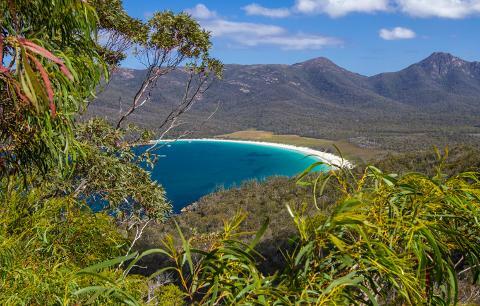 Discover stunning array of endemic plant species of Tasmania. Australia's sweeping and inhospitable deserts are nearly as harsh as its venomous critters. 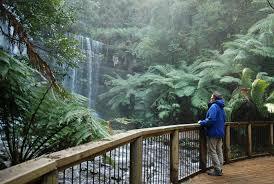 But Tasmania is an island unto itself with its own ecosystem, flora and fauna. The island state receives the world's freshest air from the Roaring Forties and plenty of rainfall. This gives rise to the second tallest trees on planet Earth, temperate rainforests and a stunning array of endemic plant species. After all, this breakaway state removed itself from the dry red centre of Australia quite a few millennia ago. The second tallest tree in the world only grows in the temperate rainforests of southwest Tasmania. In this region of the state, you'll find the Huon River, the Huon River Valley and the Huon Highway; all named after this majestic tree. It grows incredibly slowly at only one millimetre of girth per year, can live up to 2,500 years and only begins to reproduce at the age of 600 to 800. So, if you encounter a Huon Pine, ask it if it was born in BC. This tree has an incredible sappy perfume from a high oil content, which means the honey gold timber can be bent, sculpted, shaped and worked. It's also waterproof and its sap repels insects. The tree's massive size and pliability made the Huon Pine prized timber for the shipbuilders of yesteryear. As a result, it has almost been timbered to extinction. But conservation efforts started in the early 20th century ensuring that this majestic Tasmanian tree has a bright future. 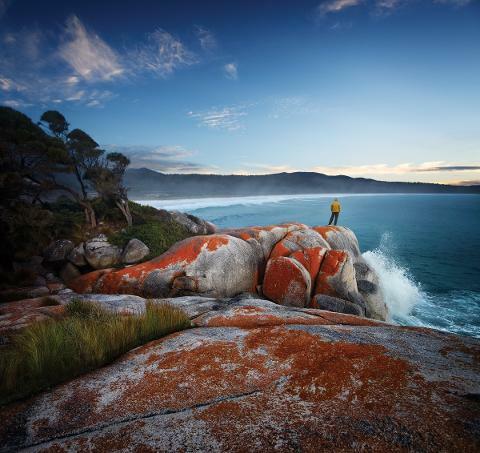 Image thanks toTourism Tasmania and Rob Burnett. 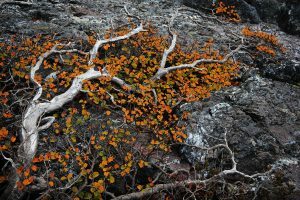 Head on up to the high reaches of Tasmania to find the Deciduous Beech. It's the country's only cold-climate deciduous tree and it only grows in Tasmania. It's not a very tall tree standing at two metres or less. In fact, while hiking glacial lakes in Cradle Mountain-Lake St Clair National Park, you might mistake this endemic tree as a bush. But don't attempt to walk through it. You'll be caught up in twisted and tough branches which earned it the nickname "tanglefoot". 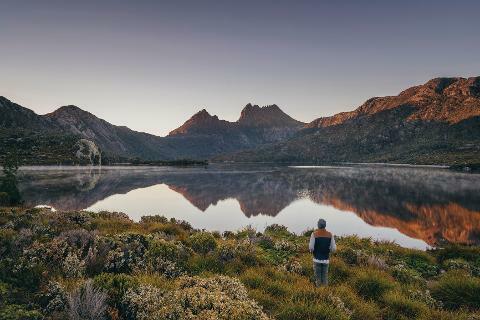 People all over Australia flock to the highlands of Tasmania in autumn to watch this endemic tree change from oxidized red to shimmering gold. This colorful transformation usually takes place in late April and early May. 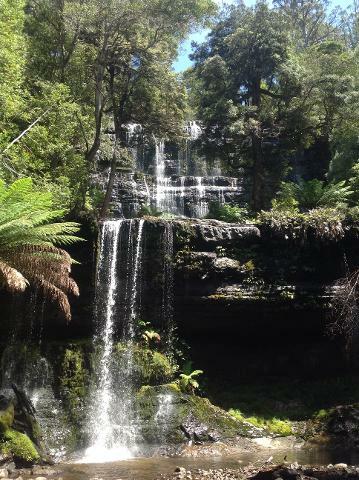 Image thanks to Tourism Tasmania and Arwen Dyer. Tasmania is home to King's Holly, a plant believed to be at least 43,000 years old. Discovered in 1937 by Tasmanian Explorer Denny King, this ancient plant sits in a cluster of Lomatia Tasmanica in a hidden location in southern Tasmania. 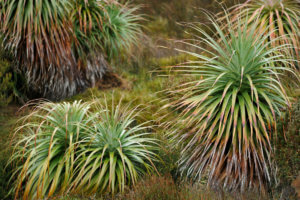 There are fewer than 500 of these endemic plants at the secret location which is surrounded by a bad case of root rot and threatens the ancient endemic flora. Unfortunately, conservation efforts are not going well. A breeding program started in 2004 at Tasmania's Royal Botanical Gardens where 50 planted pots were to ensure the wild population of King's Holly. Less than half have taken. This ancient plant has three sets of chromosomes instead of two. It drops branches which root to create a genetically identical plant without fruit or seed. Often called mountain ash or swamp gum, the eucalyptus regnans is the world's tallest flowering plant. You can find them in the Styx Valley 100 kilometres northwest of Hobart. These massive plants grow to 100 metres or more, with the tallest living eucalyptus regnans in the Styx Valley currently standing at 99.6 metres. It rivals the California Redwood as one of the tallest trees on planet Earth. However, the California Redwood takes thousands of years to grow to potential height while a eucalyptus regnan takes only 300 years. Take the eucalyptus regnan challenge by driving to the Styx Valley to take a picture that captures this tree's dramatic height. Image thanks to Tourism Australia & Graham Freeman. The tallest tree in the world is a Redwood Sequoia on California's coast, but the second tallest tree in the world is in Tasmania. 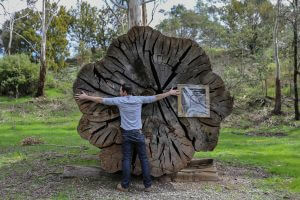 This giant swamp gum stands at a towering 101 metres, just 14 metres short of the record holding California Redwood Sequoia. The forresters who found the tree named it Centurion after a commander of a century (100 soldiers) in the ancient Roman army. This magnificent plant is the world's tallest hardwood, eucalyptus and flowering tree, and lives just 5 kilometres from Tasmania's popular Tahune Airwalk. 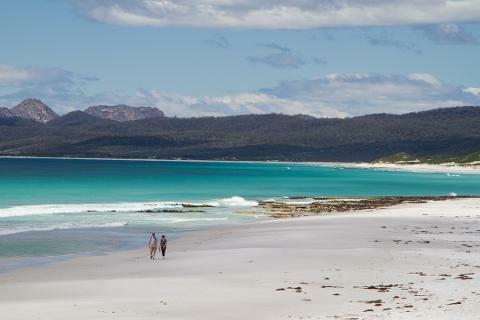 Image thanks to Tourism Tasmania & Garry Moore. The Huon Pine can only be seen in the temperate rain forests of southwest Tasmania. You might run into some at Hartz Mountains National Park and Southwest National Park. The low-lying Deciduous Beech can be seen in the highlands of Tasmania in places like Cradle Mountain-St Clair National Park. 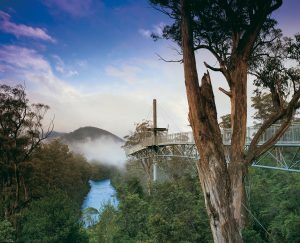 And you'll find the eucalyptus regnans in the Styx Valley 100 kilometres northwest of Hobart. 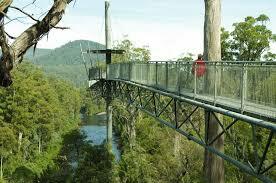 But you can see plenty of towering trees at the Tahune Airwalk where you can visit the nearby Centurion. 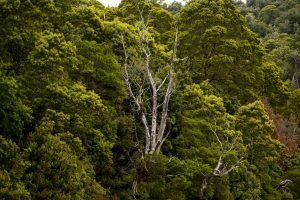 Trees are the lungs of the land and Tasmania is committed to protecting its vital plants, but that wasn't always the case. Take a drive to the scenic Queenstown where you can see the devastating effects of copper smelting and unregulated timbering. Tasmania experienced an economic boom exploiting its minerals, pliable Huon Pines and other trees, and it left Queenstown surrounded by a moonscape of baron hills and mountains. Now the country is committed to protecting its vital natural resources. Some of the protections are specific. 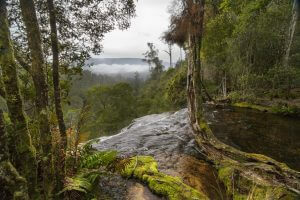 The Environment Protection and Biodiversity Conservation Act of 1999 and the Tasmanian Forestry Agreement of 2013 layout precise protections for each endemic plant. 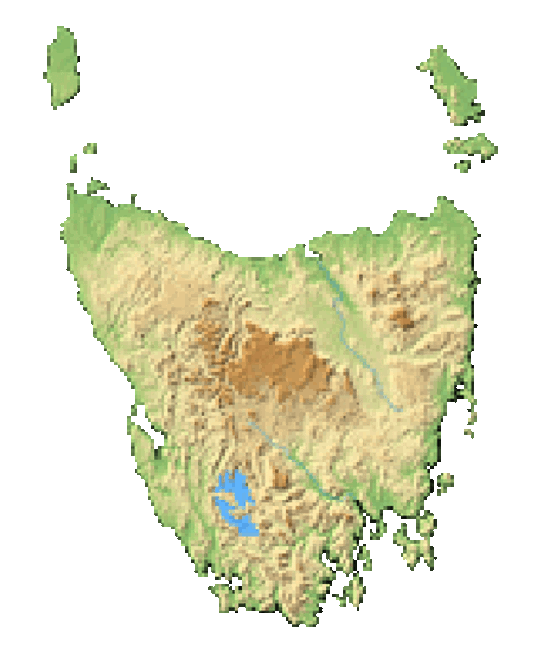 Other protections include the boundaries of national parks which are plenty on the Tasmanian island. And artists and photographers are always flocking to these majestic plants to draw attention to their conservation. King's Holly (Lomatia tasmanica) is the word's oldest living plant believed to be at least 43,000 year-old. Swamp gum, the Eucalyptus regnans is the world’s tallest flowering plant. Pandani is an ancient plant and a relic of the Gondwana supercontinent.